As I recall A's were the best flowing. "If" the heads are the "bottleneck" then a plus of 5% could mean 5hp per every 100hp. Aka, 390 hp engine could turn into a 410 hp engine, hypothetically. Not necessarily true, even hypothetically. If you have a build where the heads are the choke point then maybe. Otherwise if they're not the choke point then you may not gain much at all. The question was from the point of view of a mild performance build using headers,camshaft,ignition,and carb tuning to extract every HP from the factory iron head with out porting. Their are a lot of Olds fans that still like to play with the old iron heads. The A head should have the ability to out perform the other heads in stock form based on that it flows more air. Of course the engine has to be built to extract the extra flow potential. Last edited by Bernhard; October 15th, 2018 at 03:55 PM. I saw your JMO in the second post but it wasn't in the first post that you commented about "right mind." Well excuse me I did not think it was a personal attack! I see now why you did. I was not wanting to go on a rant and made two post. Mid Am was no secret if you really dig a little deeper it was posted maybe here on c.o. I know on Rop! After all the crashes on ROP maybe you never seen it! Mid am is gone thank god. By the time you add up the cost of re-building a set of cast iron heads with new springs, guides, valves, pocket port you could have brand new aluminum heads. Some say the Edelbrock head is worth 50 hp out of the box. Last edited by Bernhard; October 16th, 2018 at 08:02 AM. I agree with you Bernhard. To the op you can port your own heads! There is a very good thread on how to do it on this site. You said that the 330 engine does not run. Have you tried to get it started? The reason I ask is if its a simple cheep fix you can get your car up and running. Then take your time planing and budgeting for future upgrades. Well, something we can all seem to agree on. It just doesn't pay to pour money into iron heads unless there's a reason you need a certain iron heads for matching purposes. Aluminum is way cheaper and more bang for the buck and less weight. Back in the day, I poured thousands into iron heads. to wr1970, it's no big deal. I saw the 8 exclamation marks for 3 sentences, that is why commented. In the 1950s I was taught an exclamation mark represents "strong feelings." Jmo. 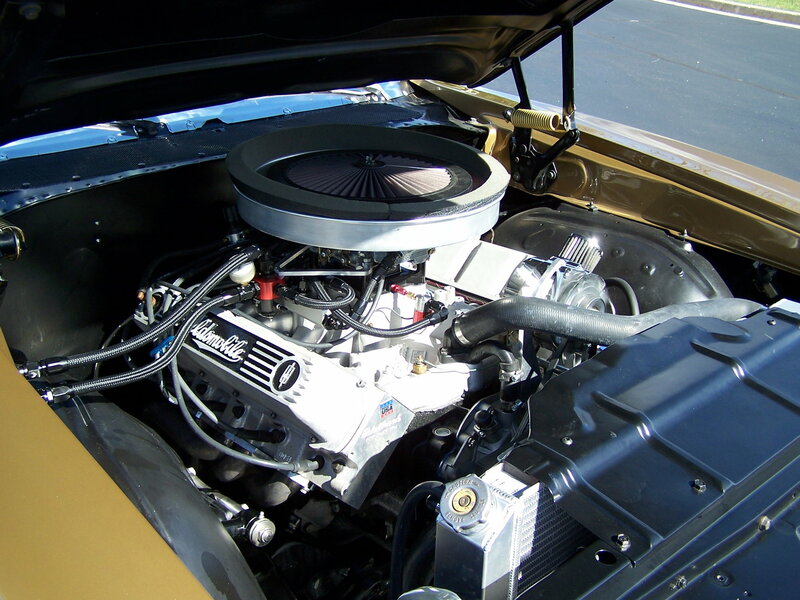 The small block is often over looked and responds well to basic engine mods. I know Iron heads are where the smart money is but I still like fast factory Iron headed cars best. I also invested in paper thin iron heads in my youth. I maybe wrong but the address is Modello and that one i think is Lynn the crook! Run for the hills if I am correct. Definitely not mondello, I just spoke to the Gentleman on the phone, sesms he was an builder that worked for Joe himself, and left after Lynn took over. Mcolabella, I just saw you are in B-more. Shoot an email to Frank Trimble [email protected] . He'll fix ya right up. Straight shot down 95 to Beltsville. 1/4 mile math says it's just shy of 500hp at the wheels. I've been [email protected] so far; just need to figure out how to get it off the line and it should be mid 11s. Last edited by fleming442; October 17th, 2018 at 10:02 AM. Thank you for setting the record straight. There are still some that believe his Bs. Too bad too. Last edited by wr1970; October 17th, 2018 at 11:13 AM. I have a 455 for sale. Still in my car running, can be inspected and pulled in a moments notice. reasonable offer accepted as I want to build a new Rocket racing block. With the off shore heads most will tell you to buy bare casting and have someone that knows what they are doing build them. Do searches on Classic Olds and real Oldspower this has been covered in the past. The eBay ad was a "little" vague, imo. Besides talking about the camshaft, very little information. The roller rockers are similar color as Harlen Sharpes but are they? I take bare Procomps and install better valves, springs, and retainers. Ironically the Procomps have more meat in various areas over the Edelbrocks. Better for porting. Very nice engine. I want a new RR block too. Bernard, Joe Mondello's son and Cutlassefi, Mark Remmel both like and use Procomp heads. Problem is, the assembled in China version leaves a lot to be desired, which is what Olds Rocket Parts will be selling. Even with quality parts they come out cheaper than Edelbrock heads and you know it won't stick a valve or burn oil, they will give a long happy life on your motor. Would you mind posting pictures of the 400 B 1965 valve train rockers and studs? I don't want to hijack this thread. Please send me an email and I'll reply with photos to show you what the A head rocker setup looks like. This really deserves its' own thread and not hijack this one. this was my thread that started. 330, early 400 and 425 automatic flywheel.